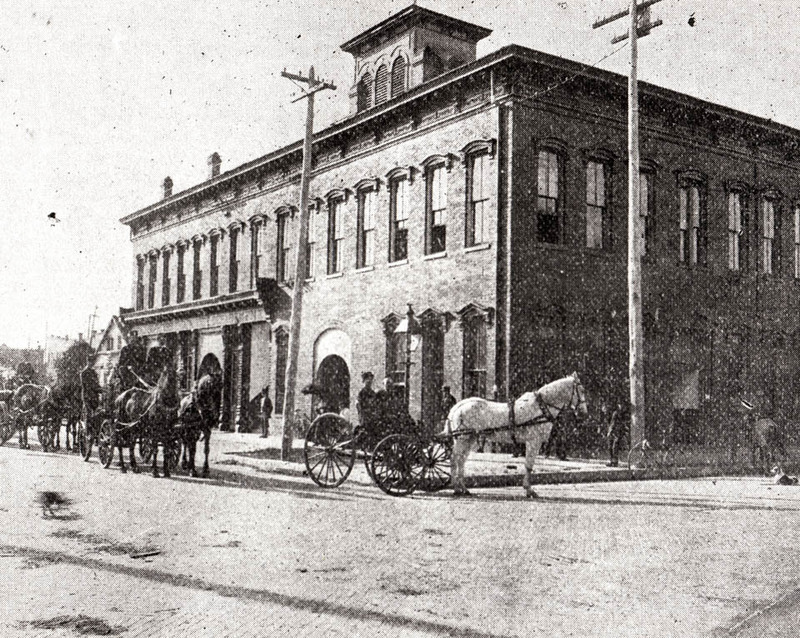 The historic photograph is of a street scene showing the old Tampa City Hall at the turn of century, on the corner of Lafayette Street and Florida Avenue. In 1914, before construction began on what would become the current City Hall, the house on the far left side of the photograph was transported to its present location on 8th Avenue (where the re-photograph was taken). 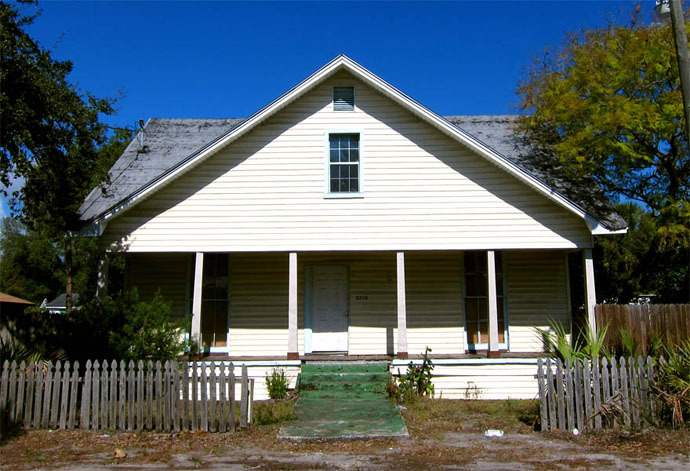 This house, which was built in 1842, is the oldest existing house in the Tampa Bay region. The house is currently for sale. A few months ago, the asking price was $22,000. According to Realtor.com the price has now been increased to $40,000. 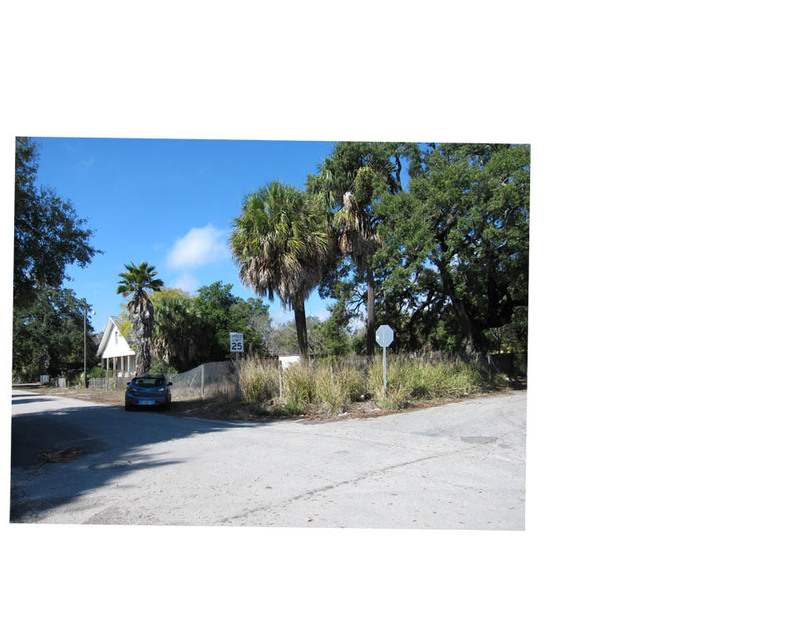 If you hurry, you can own a real piece of Tampa history! Below is a better photograph of the oldest house. For more information about Tampa’s oldest house, be sure to visit the Tampania Blog. Bryan, fantastic job on all your latest shots, once again! Even though this one is not a picture of beauty, I find it to be extremely interesting and I think took quite a bit of research on your part. I have heard of this house and for a long time tried to pinpoint it on old downtown maps and photos. I even found some censuses of families that lived in it. I’m amazed that you were able to find a spot where you could capture this house from the same angle and approx. distance as when it was downtown. Thanks again Dan! This one was a little more difficult to re-photograph because the only landmark in the historic photograph was the house (which was moved four miles from its original location). Dan, along with a bunch of other people, posted a wealth of information in the comments section of this article about the history of the house and its previous residents. The house has been purchased by GaryTown Preservation (501c3) and is currently being cleaned up inside and out. Once the cleanupu is completed, the home will begin restoration.